Holiday colors! 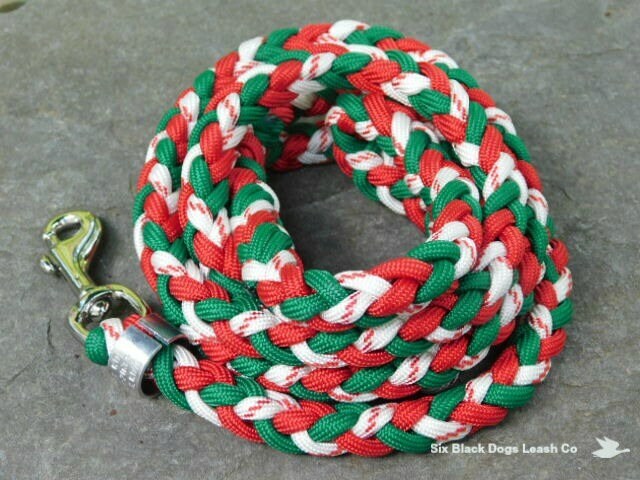 Green/Red/Candy Can 4 Foot Snap Bolt Leash. 2" med/light weight solid brass nickle plated snap bolt. This leash is made with 550 paracord in a fancier 6 strand round braid design. Soft but extremely durable and flexible. Easily stores.